The last post we did was about how to bath and dry your dog. 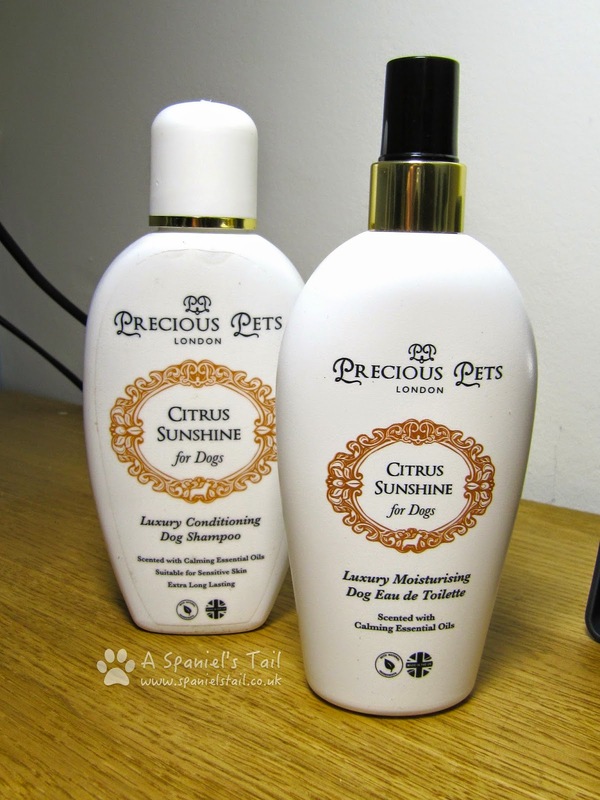 We also mentioned that we had some grooming products to review and here they are - courtesy of Precious Pets London, we have been trying out their Citrus Sunshine conditioning shampoo and moisturising eau de toilette spray! Who are Precious Pets London? Precious Pets London was established in 2012, by brother and sister Charlotte and Gregory, out of a desire to create high quality grooming products that excelled both in performance and ingredients. And as there is always a dog somewhere in the inspiration, yes it was their puppy Precious who suffered from sensitive skin and inspired the range. Precious Pets London are proud that their products are made from human grade ingredients, all naturally derived, SLS and paraben free and won't strip the natural oils from your pets skin and coat. The products are scented with essential oils that not only smell gorgeous, but have a calming effect on you and your pet (vital at bathtime!). To top it all off, they recently received a letter of recommendation from Her Majesty the Queen, praising them on their products. Praise doesn't come much higher than that! What beautifying goodies did they send us? The products we received were from the Citrus Sunshine range, scented with essential oils sweet orange, grapefruit and lime (product headings link to the product details page on the website). As already mentioned, the shampoos as well as being conditioning, are paraben and SLS (sodium lauryl sulphate) free (for the unfamiliar, parabens are used to preserve cosmetics primarily, and sodium lauryl sulphate is a detergent used in many shampoos, both linked to recent health scares). The all natural ingredients, including a coconut derived cleanser, extract of oats, aloe vera, vitamin B5 and chamomile, create a gentle formula that is gentle on skin and kind to eyes. Designed to enhance the scent of the corresponding shampoo, the eau de toilettes contains the same essential oils, and are moisturising plant derived sprays, alcohol, paraben and SLS free, and are made to be non-irritant, easily absorbable and non-residue. Again, all the ingredients are natural, being mostly derived of coconut derived ingredients and the essential oils. 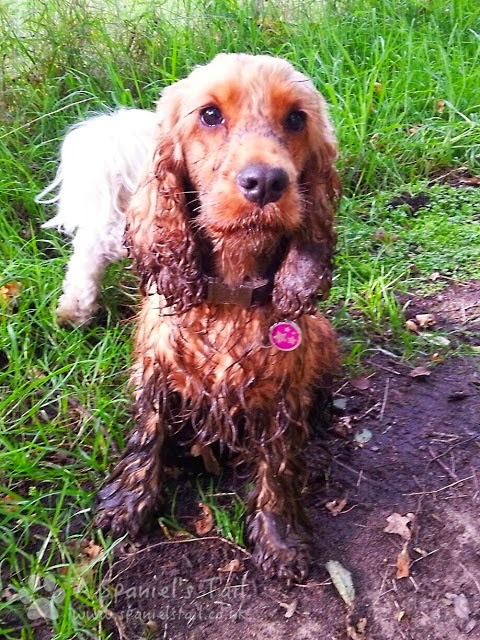 Well, being a dog that likes to challenge products to their maximum when I can, one weekend I dived into a bog that had the consistency and appearance, but unfortunately (for Hooman) not the smell, of melted chocolate. You may have seen these pics already on a Wordless Wednesday post - they actually occurred the other way round (poetic licence by Hooman). And the shampoo is what helped get me back to Hooman approved beauty! Firstly the shampoo is nicely concentrated so you don't need to use too much. It lathers up and distributes through the coat easily, and also rinses out well. The scent of the essential oils in both the shampoo and the spray is apparent, but not overwhelming, and Hooman liked the lightness of scent when I was fluffy and dry again. She has always thought the clean smell of dog is lovely, and doesn't need masking with overpowering unguents! My coat afterwards also felt lovely and silky and the eau de toilette added a refreshing top up of that citrussy essential oil blend. The most important thing though was my skin - I am prone to a little bit of itchy scratchiness - we normally use another fantastic shampoo also based on essential oils which helps, but this one also didn't exacerbate anything, even though I ended up having to have two baths that weekend (using this shampoo both times).... *looks innocent*. Anyway, the photos speak for themselves! Some people might be put off a little by the price, but we have seen far inferior grooming products for not much less, and the quality of this one with its natural ingredients, combined with the fact that a little goes a long way, means it is actually worth it (okay, I didn't mean to sound like a certain well known ad there!). We will certainly carry on using it until it is finished, and may even try a couple of the other scents in the range - they also do Vanilla Dream (benzoin, bergamot and ylang ylang) and Country Garden (lavender, rosemary and juniper berry), as well as a completely scentless one for the hypersensitive pups. You can order direct from Precious Pets - to browse their range of products, click here. Prices were correct at time of publication. 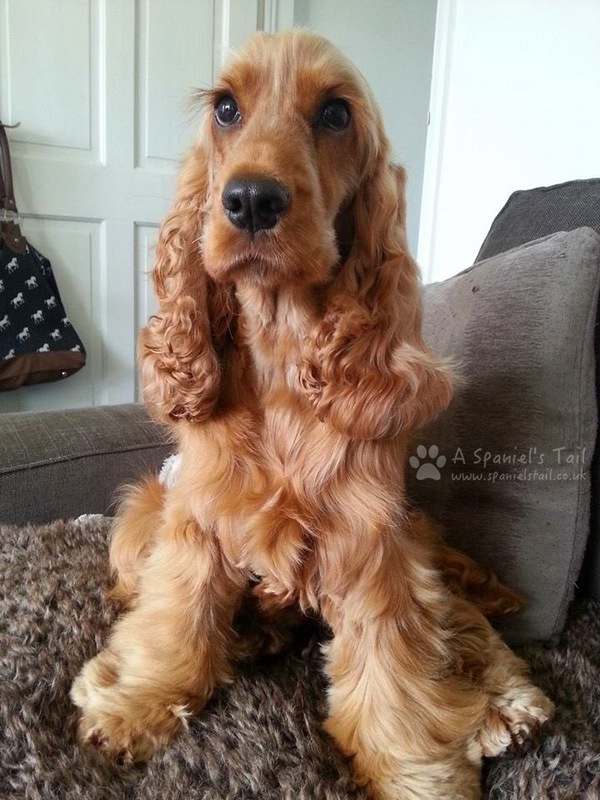 Your furs look beautiful, Lottie! You are one gorgeous girl! Lottie you look wonderful and we bet you smell great too. Have a serene and easy sunday. Oh I am liking the sound of this. If its good enough for Liz's corgis its good enough for our Freya.